In early May, we hosted an event featuring two limited edition cigars from La Instructora and Sans Pariel cigars alongside a flight tasting of rare rums from Diplomatico. The event and pairings were fantastic, and I was excited to take a few of these unreleased cigars and smoke and review them on my own time. In particular, this limited edition La Instructora cigar is one that I have to review because, to be frank, I have been blown away each time I’ve smoked it. Unfortunately, I don’t have details on the tobaccos that comprise this cigar, but that isn’t stopping me from writing this review today. To say this cigar looks unusual would be a massive understatement. Let’s tally it up. The outer wrapper has a noticeable outer oiliness, and innumerable seams where all of the different wrapper leaves come together. It seems constructed well enough, with just a slight amount of give when squeezed. The cold draw is moderately restrictive and full of finely ground pepper and spice, along with a bit of sweet earthiness. The La Instructora kicks off with a blast (and I mean blast) of extremely strong flavor, likely the result of the closed foot. The flavors are hard to pin down, but the ones I recognize are black pepper, molasses, dry cedar, burnt coffee, and a creamy finish. Hard as the flavors are to identify, it’s immediately clear that they harmonize well because damnit they’re delicious. Smoke production is slightly above average, but improves as the cigar burns. About half an inch in, the ember is just clearing the double wrapped foot, and the profile takes a distinct turn. 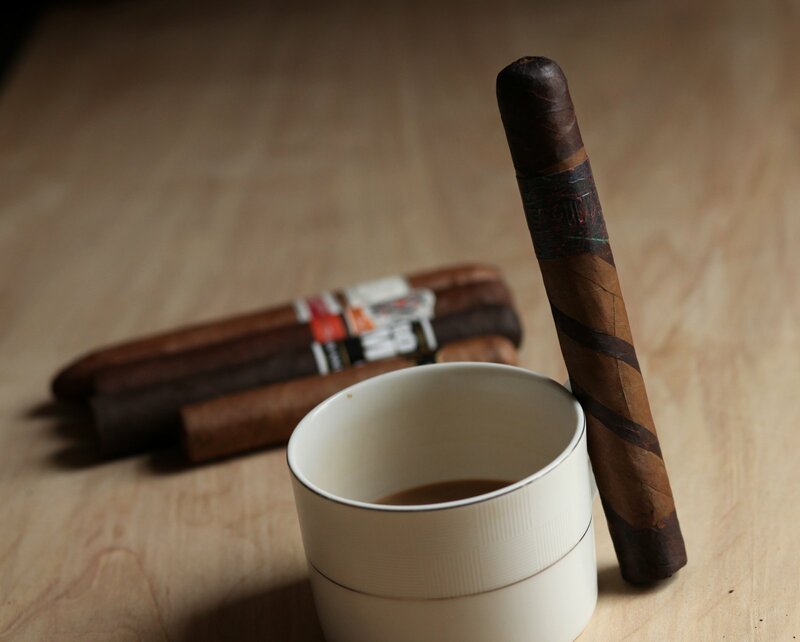 The flavor recedes from full to medium-full, and the profile shifts, with a dominant nuttiness, creamy cocoa, leather, with roasted nuts and pepper on the retrohale. Just absolutely delicious. Off note, but what’s also interesting about this cigar as I smoke it is how it is so flavorful that each puff activates my salivary glands. Heading into the second third, the smoke settles at just above medium in body and medium-full strength. That burnt coffee note has morphed into a smooth espresso, with other dark chocolate, black pepper, and minor leather notes. 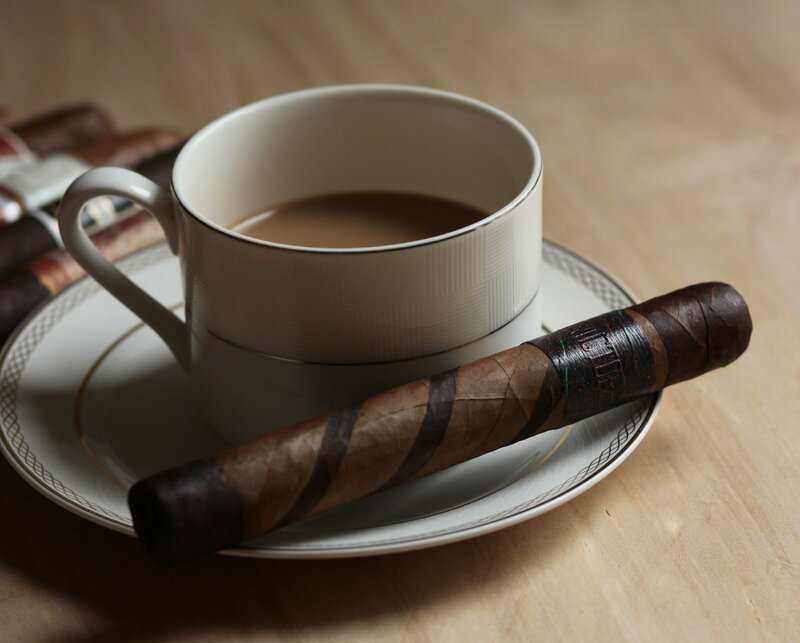 The cigar stays roughly the same until halfway through the final third, where a new flavor emerges, a kind charred meat that pairs nicely with the sweeter, creamier notes. The retrohale meanwhile loses most of its spice and is replaced by a very fine charcoal flavor. At around the last inch and a half, the strength picks up quite a bit to full, and the heat ramps up as well, providing a good (but not welcome) excuse to put the cigar down. If I didn’t know anything about where this cigar came from, my first thought looking at would be “gimmick” because most barber-pole wrapped cigars I’ve smoked are muddled on the flavor side and largely unenjoyable. But this cigar is simply spectacular, and one I wish was in regular production. I’d easily pay north of $25 for the amount of flavor, complexity, and balance that this cigar consistently provides (I smoked three for this review). Aaron Saide and La Instructora has proven twice now that they can produce cigars with a far above average amount of complexity and flavor. You won’t find this cigar on shelves, but if you do, buy it.